A few weeks ago, we organized a student exchange program. We selected three master students, who visited our three universities at the end of April and beginning of May. You can read more about the exchange program here. We were happy with the progress the students made during the program. But what the students think about the program? Why they participated? And what they gained from the program? Here you can read their feedback. I took part in the student exchange because I am interested in the ways that the latest developments in Virtual and Augmented Reality can be applied to improve the lives of people with health issues. As such a student exchange with the aim of exploring the applications of the Microsoft HoloLens for helping patients with dementia was beneficial to me in two major ways. Firstly, as I am primarily a computer scientist, I learned a lot about the problems of dementia patients and background information about dementia in general. Secondly, I took part in the development and implementation of a small game for the HoloLens. This should prove very useful for my future scientific work. During the exchange itself, we had a lot of input and the chance to develop our own ideas. We learned a lot about the process of creating and designing a product for the health industry in a group. Additionally, we had the chance to make many new contacts and meet many other scientists interested in the same fields. So in summary, the student exchange was a very interesting and educating, but also very exhausting experience. I have participated in the student exchange from the Therapy Lens project. Our group was composed of three students from different study courses and our aim of the three weeks was to develop a game or an application for the Microsoft HoloLens to help a dementia patient to live an independent life at home. The exchange began in Munich. 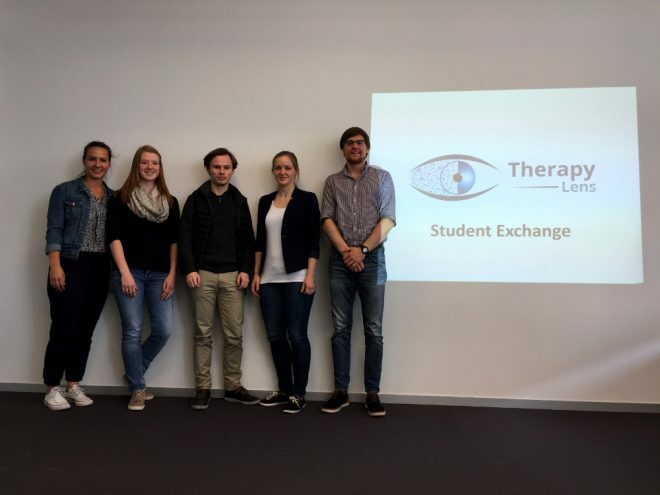 Afterwards, we traveled to Brussels and finished in Aachen, where we presented the idea and the prototype to the partners of the Therapy Lens project. The journey to the universities gave us the opportunity to establish contact, especially in the technical area. We also got an overview of the projects and ideas they were working at. 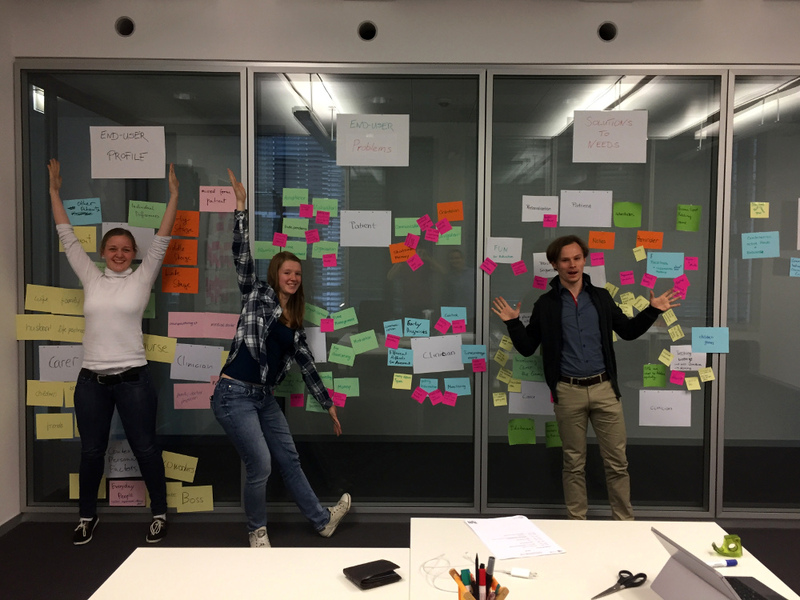 Besides our project, there was an interesting process of developing innovative ideas and sharing thoughts and experiences. The interdisciplinary teamwork was a new experience for each of us and has been challenging because we all had different background knowledge. We had a lot of discussions and many decisions to make, but we have gotten really good support. And even though we couldn’t reach a consensus every time, we all wanted to push the project forward and achieved good results at the end. I really liked having the freedom to develop our own idea in a more creative way and to work with visualizations to organize the complex system of thoughts and problems. We also had to summarize our work at the end of each day, making a short presentation of our results. That was a good exercise to present confidently and gave me motivation.